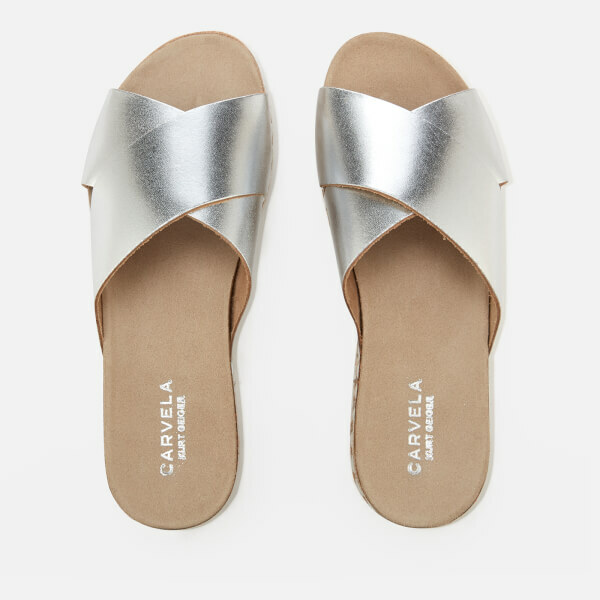 Women's flatform slide sandals from Carvela. 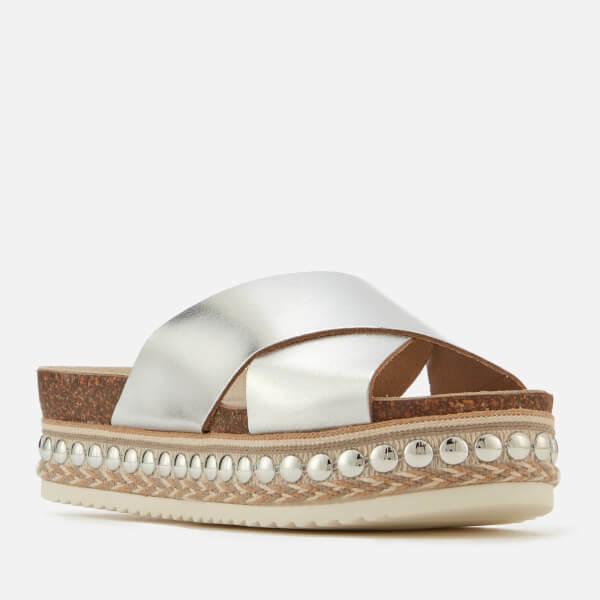 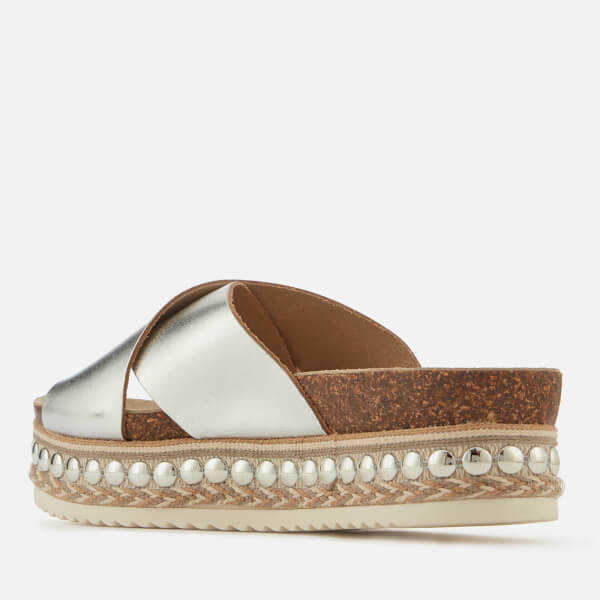 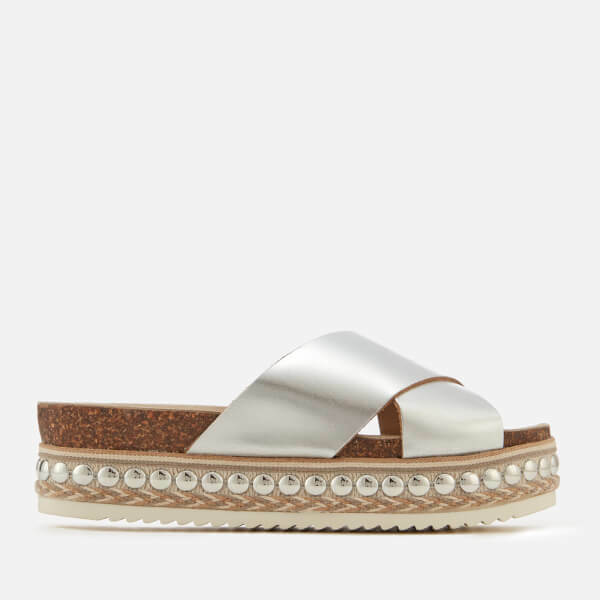 The open toe 'Kake' sandals features a metallic leather, criss-cross strap across the vamp, and a chunky flatform sole with studded and woven detail. 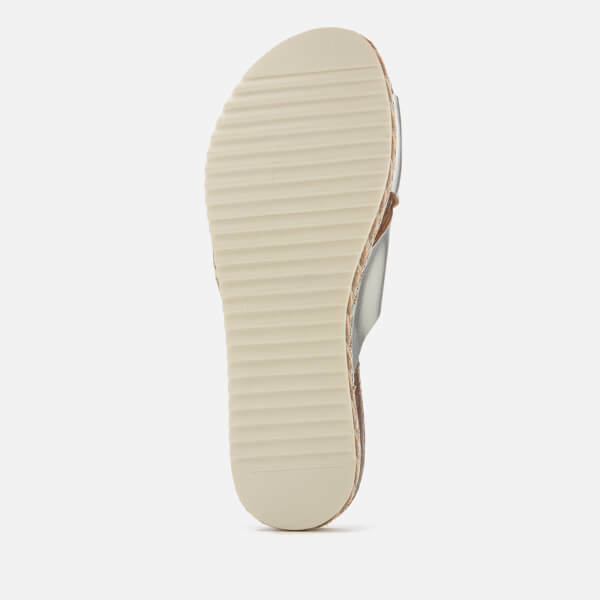 Complete with textured tread for grip.